If you want to pluck an element out of its environment and stick it in another in Photoshop Elements, or apply an adjustment to just a portion of your image, you need to create a selection around that element. Finding out how to make accurate selections is one of those skills that’s well worth the time you invest. 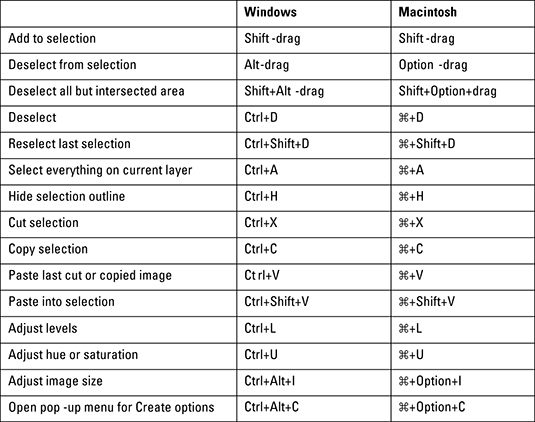 Refer below for handy keyboard shortcuts that enable you to refine a selection in Photoshop Elements.